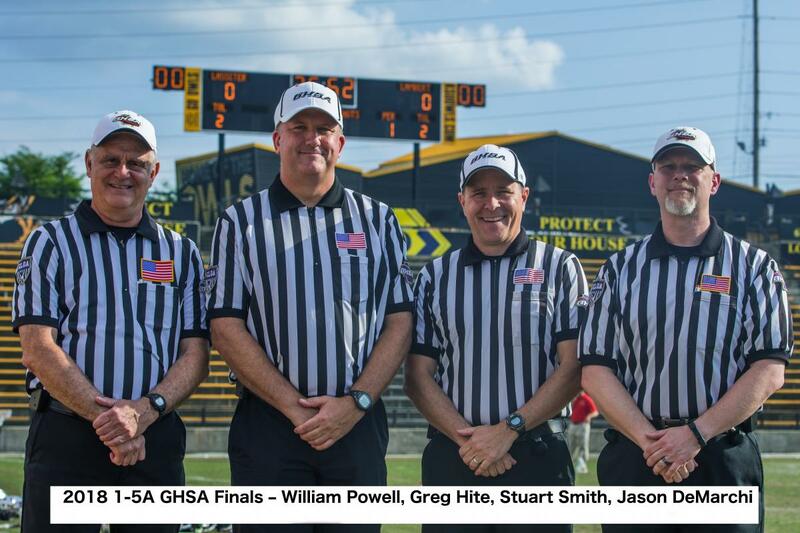 The GLOA believes in recognizing those officials in our association who go above and beyond what is necessary to help improve the association and grow the game of lacrosse in our state. Awards are presented at the annual end of season banquet hosted by the association. You may see the past recipients of each awards as well as the crews for the 7/6A and 1-5A championship games. Awarded by the board to a member who had made significant contributions to the Association. Named in honor of Charter Member Ron Malloneee who passed away in 2004, this annual award acknowledges the one GLOA official who has exhibited the highest level of dedication and service to the association and unfailingly is willing to help grow the game of lacrosse. The Iron Man Award goes to the GLOA official who covered the most association games during the spring high school season. A official who traveled the most miles to cover association games during the spring high school season. The Golden Whistle Award was established in 2014 and is presented in recognition of an umpire who has excelled during the season. In his first year of lacrosse officiating, this Rookie of the Year award winner has exemplified strong knowledge of the rules and mechanics, displayed superior field presence, demonstrated openness and diligence to learning, or any other behaviors that bring honor to the game and to officiating. In his second year (or higher) of lacrosse officiating, this Most Improved award winner has shown the greatest effort to improve as a lacrosse official and has demonstrated that improvement. Evidence may include attendance at officiating camps or lacrosse tournaments, increase in quantity and/or quality of games assigned, becoming certified to do 3-man mechanics and/or college games, improved physical fitness for officiating or any other improvements specified with the nomination.